Though they met a couple of times before, the couple really get to know each other at the wedding of his best friend with her sister on the island of Maui. The wedding on the island was the perfect setting to fall in love. Ever since then, they’ve been inseparable. He proposed to her on Christmas Day 2016. After exchanging their gifts he run upstairs to go grab a last gift he forgot. He came back downstairs holding a ring box, grabbed her hand, got down on one knee and asked her to marry him. Without a heartbeat of hesitation she said yes! Than they won the Engagement session what Images by EDI provided as a gift on the Reflection Bay Golf Course Las Vegas Open house. 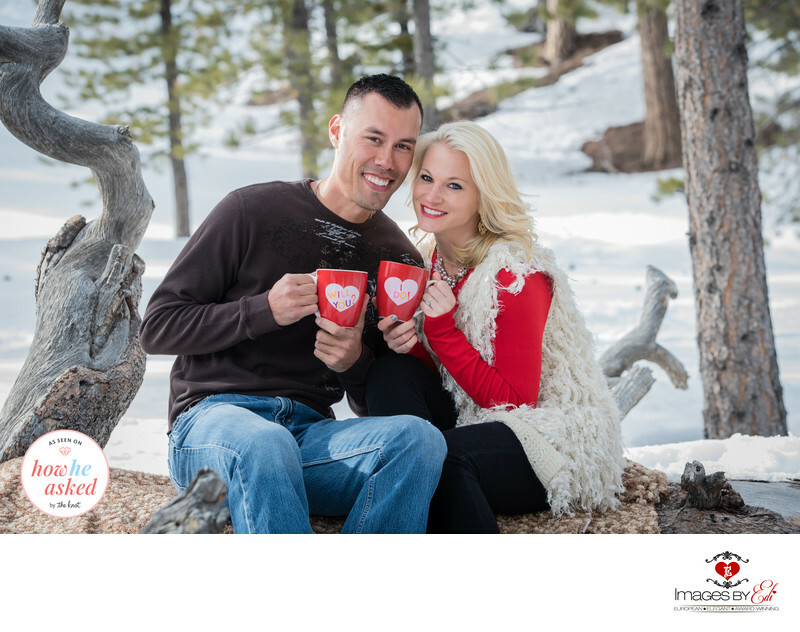 This is one of my favorite images of many from their Mt Charleston Engagement session in the snow.